The location of your lot is going to determine the community that you will be living in. It’s not just access to a good school or shopping but also smaller details like sidewalks, bike paths and even the width of the street. Some of that might not be established yet especially if you are buying a lot in an undeveloped area but it is definitely something to think about. 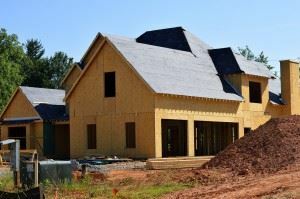 A good way to find the right builder for your lot is to go to open houses of recently constructed homes. If you like what you see, then contact that builder. They might be able to build the type of home that has already been designed which will definitely cut down your cost on hiring an architect. You’ll still be able to customize it but you’ll be ahead of the game. You should never consider buying a vacant lot until you are able to walk the ground. There might be a quiet stream just down the hill but what happens if that stream overflows in a storm? If there’s a big patch of brown grass in an otherwise green lot then you have to wonder if something is causing that. You also want to do a geological survey. There’s no telling what might have been on that lot before it became vacant. There could be a hidden oil tank or sewer system that would get in the way of your building. Suppose you are considering a vacant lot that is in between two homes. Obviously, electric and water won’t be a problem but there could be extra charges for those hookups. They might also be restrictions with a homeowners association that could put a damper on your building. Vacant lots are often magnets for other people’s junk. Don’t be dissuaded by a lot of rubbish being left in a lot. All of that debris can all be easily removed with one call to Junk King Chicago. These are professional junk haulers who had been in this line of work for over 10 years. Junk King Chicago can quickly turn a junk filled lot into a vacant lot. Put them to the task today. This entry was posted in Chicago Junk Removal and tagged Junk King, junk removal, vacant lot on July 24, 2017 by Junk King. Last updated July 24, 2017 .